Hello friends, now we want to explore Russia with you. Have you known some cities in Russia? Russia is the largest country ,though. It is a bit difficult to find the beauty in a largest country and most of all there’s nuclear anyway. But, now we want you to know more the beauty of Russia. The beauiful scenery you never seen before. The beauty of nature among all of seas, islands, forest, mountain, and mesmerizing cities that make you adore it. We served to you this article 10 Place You Should Visit In Russia to See The Beautiful Scenery. Lets jump right in ! Vladivostok is located near Ocean Pacific and Korean Peninsula which is means the beautiful scenery that you will seen is a beauty of both nature and mix cultural. There are modern architecture which design as modern western. So, you could see both beauty of Europe and Asia here. Well, there are food of Vladivostok had such as continental food, seafood, and mix from both Asia’s cuisine and Europe’s cuisine. Omsk is located near Tomsk city. Do you want to see both neoclassical and metropolitan architecture? Well, this city was the right answer for you. Omsk had both neoclassical and metropolitan architecture which is also combine with comfort forest. It is also as a mesmerizing city. It is the best place for you who those seek for neoclassical building. Want to travel to Omsk? Krasnador is a one place to go for you. Because of the strategic located, this city was exactly the should on your list for travel in Russia. Especially in summer, Krasnodar had it all in once. Kranodar have Azov Sea in the north and Black Sea in the south. Krasnodar have the most known place, called Sochi. Sochi become a popular destination right after Winte Olympic in 2014. Krasnodar also have the best diving spots, it would be match for you who those searching the best diving spots in Russia. Another well-known place to visit in Krasnodar Region are Mount Akhun, Agura Waterfalls, and Vorontsov Caves. We often mention about Kamchatka for you, isn’t it? Kamchatka had it all. Valley of Geysers which located in Kamchatka Region is one of the famous nature Russia’s had. The Valleys Of Geyser is a deep canyon of the Geyser River with mud pots and waterfalls. One thing you should know about this Valley is, this Valley is the second largest geysers had in the world right after behin Yellowstone Park. Irkutsk is a place for beautiful stunning churches, rich culture, charming museums and theaters , and a well-known wooden houses Siberia’s modes. Irkutsk as the closest city to go to the deepest lake in the world, Lake Baikal. Have a night in both Irkutsk and Lake Baikal will give you another great expreience when visited Russia. Another famous attractions for tourist are Olkhon Island, Small Sea, and Sandy Bay which have the best diving spots. Its better for you to visit Irkutsk and Lake Baikal in summer weather. Because in winter, Lake Baikal will frozen, so you can’t see the beauty scenery on it. One thing you should know is, Irkutsk well-known name as the Paris of Siberia. Solovetsky Island was located on the western part of White Sea. 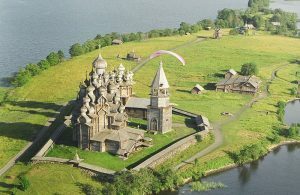 Solovetsky Island consist of six large island and a thousand small island. Solovetsky Island has the beauty of both sea’s and forest’s scattered in a one place. You have to visit Solovetsky Island to see the beauty of nature in Russia. See Also 4 Best Time to Visit Russia That Every Traveller Need to Know! We had done explaining to you about 10 Place You Should Visit In Russia, To Seen The Beautiful Scenery. Hope this article will leads you to visit the beauty of Russia. The beautiful scenery in Russia was very incredible and eyegasm. You should visit the 10 place we had mention for you. Find the beauty of Russia.